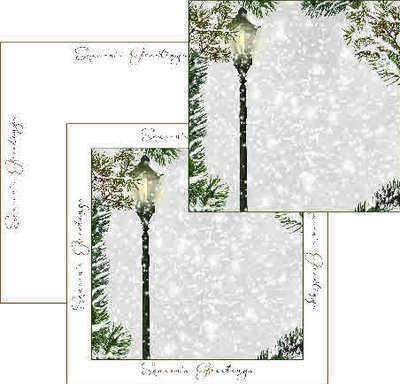 A set of three papers, a Christmas scene backing paper of a snowy night with street lamp and fir trees. 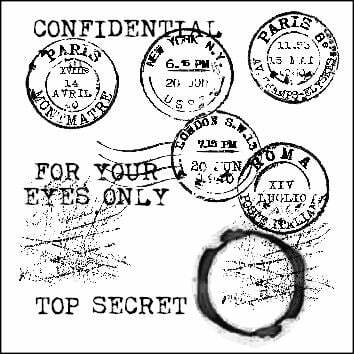 This background would be great used for paper piecing a Tilda stamp. 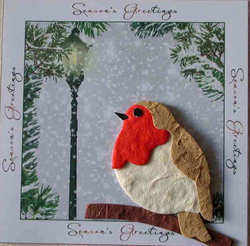 One text frame with 'Season's Greetings' and one of the two combined, ready to print out as a quick card topper. The example with the mulberry robin has been reduced in size.